I got an interview after just one day and got the job! Liaise personally 1-to-1 with your consultant (a top UK CV specialist) to not only gain the edge over your competitors with DIY CVs, but those competitors with professionally written CVs too. We are no ordinary company and our mid-career CV service is very special too. Whether you are looking to move up the career ladder, or just land a better or more suitable job we can help you – and like no one else. What you mean by midcareer? It is a rather broad term, broader indeed than our other service categories. What we mean by midcareer are those jobs in between entry/graduate-level jobs and managerial jobs. This applies regardless of sector. If you are currently a manager with long-term aspirations to become a senior manager or an executive, then while it could be said that you are ‘midcareer ‘in terms of your managerial journey, as far as our CV options are concerned, if this applies to you then the best service for you would be our manager CV service. Which people in midcareer do you help? Again, this is probably the broadest category from all our services. Indeed, for years we have been helping clients into a cross-section of jobs, and in all sectors. This includes common jobs and sectors such as IT, retail, customer services, catering, administration, hospitality etc, as well as rarer jobs and careers including diver, butler, dancer and many others. Ultimately, we are happy to help anyone looking to boost their job and career prospects. As with our other services we can help you by essentially improving your CV (in most cases dramatically), thus boosting your odds in the competitive job market. Do midcareer CVs differ from other CVs? In terms of our service, we put midcareer CVs in exactly the same tried and tested, high impact format as our popular executive CVs. So they look the part, and our format has been especially developed in-house to help get your all-important sales message across more effectively. The main difference is one of content. At executive level, for example, many candidates have considerable experience as well as numerous very good achievements. Frequently, senior level clients have original CVs that are long, chequered and overcomplicated. Some midcareer clients also come to us with CVs with similar problems. However, on the end of the scale, quite a lot of midcareer clients have different issues that we need to address. One common problem is that a lot of midcareer clients really struggle to sell themselves, and their original CV is frequently on the basic side. This is not a problem for us, because we are used to substantiating CVs. In fact, whatever the reason (or reasons plural) why your current CV is not working for you it will be something that we have not only encountered before, but something that we have resolved on a great many occasions. Indeed, one of our specialities is totally transforming underperforming CVs into far more successful job winning documents. If I have any specific questions can I ask you? Moreover, you can ask us questions at any point in the process from pre-ordering all the way through the writing phase. 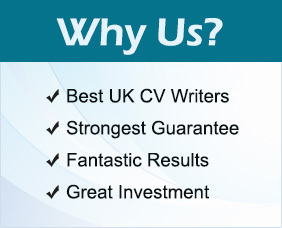 You are also welcome to ask any questions once we have sent you your CV as part of our free after sales service. Do you give any advice on things other than CVs? Clients frequently ask us questions on a whole range of job/career related issues, and we are happy to advise clients. I’m not quite sure what to target – what do you advise? This is actually a common question people ask us. If you are unsure about anything like this, the best thing to do is to just contact us with more details and we’ll be happy to advise you. How much is the midcareer CV service? At the time of writing this is just £139.00. However, we can’t guarantee that it will remain at this price in the future. It is already extremely reasonable for the exceptional advantages we give our clients in the job market. Yes, if you click on the ordering button you will be taken to a page with more service options. These are entirely optional and prices are given. What optional extra services do you recommend? It is entirely up to you, but at the very least we would certainly recommend that you order one of our professional cover letters, as they can and frequently do make a difference to your job applications. Do you help clients with other things? In addition to the things mentioned in the optional extras we also offer a job interview preparation service. It is also worth mentioning that many clients come back to us time and again as they move up the career ladder. Clients frequently see us as a long-term partner helping them every step of the way up the career ladder. In the first instance please just click the button below to access the ordering page. Prices are given and a running total is calculated. What happens once I have ordered? Once you have ordered you will automatically receive an e-mail of things that we need, but in addition to this you will also be contacted by your consultant who will guide you through the process and answer any questions or queries you may have.